For many people it is very difficult to find a group that some would deem a full party of adventurers to play Tabletop RPGs. When I got into gaming this was the case for me. I struggled to find people to play Heroes Unlimited which for me this was the game that I loved when I was 12 and loved up until recently. My first RPG group was 2 players and a GM. When the GM moved it made it near impossible to game because we had it in our mind you needed multiple players to play the game properly. If we only knew about the possibility of playing with 1 player and a GM our RPG experience would have been drastically different. The 1 player and 1 GM format I have seen called different things. I have seen it called 1 on 1, solo, and duet campaigns. What the actual correct terminology is I am not quite sure. What I do know is that this is a great way to run and play games for those of us who may struggle to find groups to play with. Some people use these types of games to help players catch up after mission a session. Some people use these types of games to teach a new player how the game is played. Either way it is a great way to game and can provide a vastly different experience than you may be used to. A few years ago I attempted to run a Heroes Unlimited game like this for my wife. Our first session was a lot of fun. She played a Mega Hero that we rolled a lot of the stuff randomly. That character ended up being very similar to Thor which was pretty interesting. The idea of those first few sessions was that she had no idea how things worked on Earth. She broke an elevator door and beat 2 guys into a coma when they tried to kidnap her. Unfortunately the campaign didn't last very long because we ended up moving. We tried again to do another duet campaign using Pathfinder when I was really getting into that system. The idea was that my wife would make and control a few characters. Her party was an Aasimar Sorcerer and an Oread Barbarian. We played a couple games and this was fun but we wanted enough players for a full party. This game died off but only because once again real life stepped in and we moved again. There are many ways to play a game with one player. Maybe that player controls only a single character or they control a whole party of characters similar to how they would play a video game like Baldur's Gate. Maybe they handle all of the groups social interactions with NPCs or maybe they only control their single characters social interactions while the DM controls all of the other members of the group in social environments similar to Dragon Age for example. In the latter example the players choices could lead to some members of the party leaving the group. No matter how you choose to play this can be an extremely fun way to game. This style of play is one I wish I was able to try sometime. I would love to play both as just a single character without a party and also a campaign where I play as a single character but in combat I can control a whole party. If I had a DM who was good at improvising I think this could be one of the most enjoyable ways for me to play a game. On YouTube there are at least 2 channels that cover this style of game. Matt Click's afistfulofdice on YouTube and has recently started running games on his channel for his fiance. He is also my DM for the Provokers campaign and is a very good DM. Andrew Armstrong known as DawnforgedCast has a couple games in this style on his channel. One is with his wife, and the other is with one of his viewers. To see how these games can be played go and check those channels out. If you are interested in running or playing a game in this style feel free to join the Tabletop RPG One Shot Group and seek it out. This morning I saw a post on Facebook in the Tabletop RPG One Shot group about a DM asking if he should make a GMPC for a group of 3 PCs currently. He expressed that he wanted to play too which was part of why he wanted to do a GMPC that would cover what they don't already have in the group. Personally I think 3 players is a good enough size to not tamper with things too much. 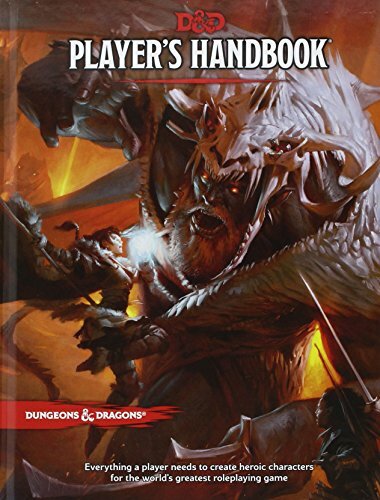 I gave some suggestions on how to handle small groups of players that may work for them but wouldn't fix the want to play along side of his PCs. In this article I will offer some of the same tips for various potential solutions to small groups. Remember as the GM/DM you get to play more than anyone else at the table. You control every single character in the world besides the PCs. You also control the setting, weather, and everything else! First it is important to figure out why players chose the races and classes they did in order to figure out the type of game they want to play in. The next step is to figure out if it is important that they satisfy the typical 4 classes Fighter, Healer, Rogue, and Magic User. For example if the group as a whole wants a low magic game you may not need the Magic User. Before starting the game talking to the players about any potential ideas can be pretty important. Next up if you decide it is important to fill all of basic party rolls there are ways around that. Below is a list of ways to do that without forcing a GMPC with the group. Some of these can be used with others too. Not all solutions will work for everyone either. You can allow all of the players to dual class. Example at 1st level they may take Fighter/Cleric. So at 2nd level they would be 2nd level of each. This would give them a lot of power as a single PC but make it easier to cover various needs. You can let each player control 2 characters. This can be a lot for newer players but just make sure they know that they don't need to RP for both of them. The GM/DM can RP the ones the players don't want to in a lesser role. Let the players recruit NPCs at times if they choose to but at a high cost. This is one of the better ways because it also allows you to sometimes make it not feasible to recruit an NPC tagalong. Substitute items to make up for things. More potions of healing to make up for the cleric. Better weapons and armor to make up for lack of a fighter. Scrolls, and Wands plus the ability for everyone to cast magic from them can fix the need for a Magic User. Some creative thinking here can create ways to fill certain roles the party doesn't have. Max HP each time they level up. 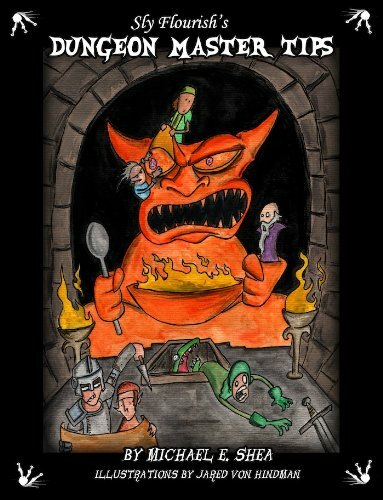 The DMG for D&D5e has some good solutions for short rests and long rests to adjust the feel of your game. A lot of these can make it easier for small groups to handle things. For example adjusting short rest to 5 minutes and a long rest of 1 hour. Healing of any type from potions, short rests, or spells always do max healing. There are many ways to cover things the party is lacking. In my opinion the worst way is adding a GMPC because it is easy to step on peoples toes that way. Players want to feel like the heroes as they can blame a GM/DM for stealing the glory when they are also the ones running the game and presenting the situations in the first place. 1 or 2 PC's are usually where you would want to use some of these alternate ways to help them without taking away their spotlight. 3 to 5 players is just the right amount of players and shouldn't need too much adjusting but occasionally you may want to try the items or other means to help your games. If you think of any other potential solutions please let me know of them in the comments below. Hope you find some of these helpful for your games. Some of these may be useful in your groups that do cover the basics.